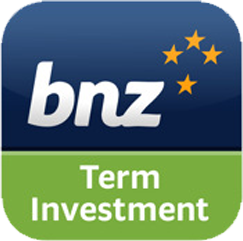 The BNZ Term Investment Calculator iPhone App features a highly polished slider for data entry and adjustment. The slider can be flicked which will cause it to fly by, grabbed to stop it or slowly dragged for accurate data entry. The Term Investment Calc is one of two applications developed for the BNZ by Bluespark.